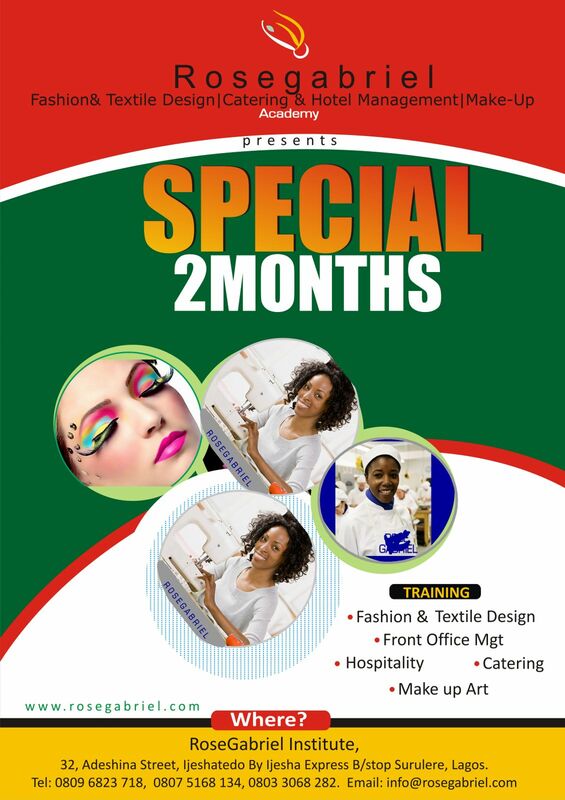 Our Vision is to raise a new generation of men and women with skills and entrepreneural drive to change and shape the future and face of the Fashion & Catering Industry in Nigeria and beyond, with emphasis in excellence in service delivery. Click on image to view in larger size. No. 32, Adeshina Street, Ijeshatedo, Surulere, Lagos, Nigeria.